In The Theory of Everything Stephen Hawking (Eddie Redmayne) spends a lifetime trying to figure out the inception of our very existence. For all intents and purposes he succeeds in doing so. Or maybe he doesn’t. Maybe it doesn’t matter. This really depends on your own beliefs. James Marsh’s film ventures down a similar path to that of its central figure as it attempts to fulfil various thematic nodes: love story, tale of human adversity, science exhibition and so on. As these strands weave together to form Stephen’s story they don’t always feel complete. Or maybe they do. Maybe it doesn’t matter. This really depends on your own expectations. 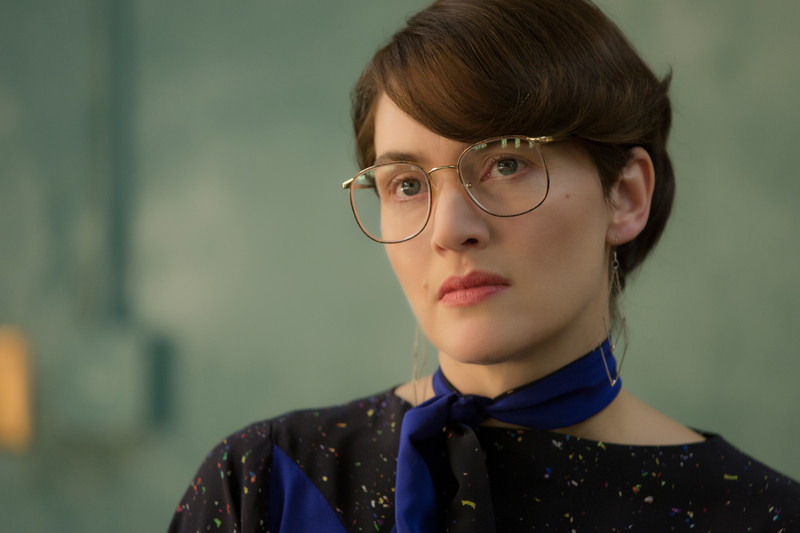 Providing those expectations aren’t bound up by a need to see something totally flawless, The Theory of Everything should cover all bases sufficiently. Most of us are aware of Stephen Hawking; certainly of his illness if not the physicist’s scientific endeavours. The film takes us through Stephen’s adult life, from his first inclinations that something is wrong with his body to the writing of his best-selling book, A Brief History of Time. 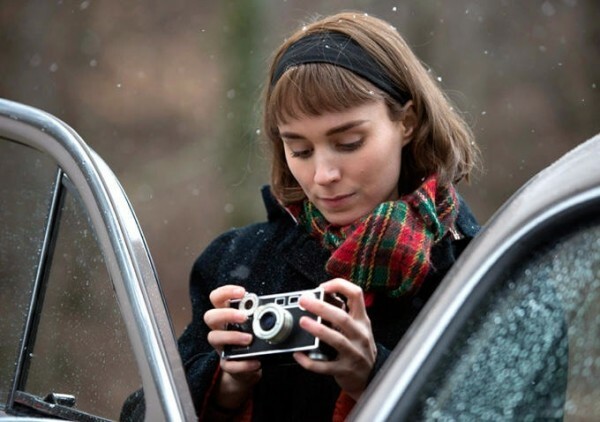 But it becomes clear as the picture develops that Marsh’s vision isn’t necessarily weighed down by either disability or science, and instead the director wants to tell the story of a relationship. 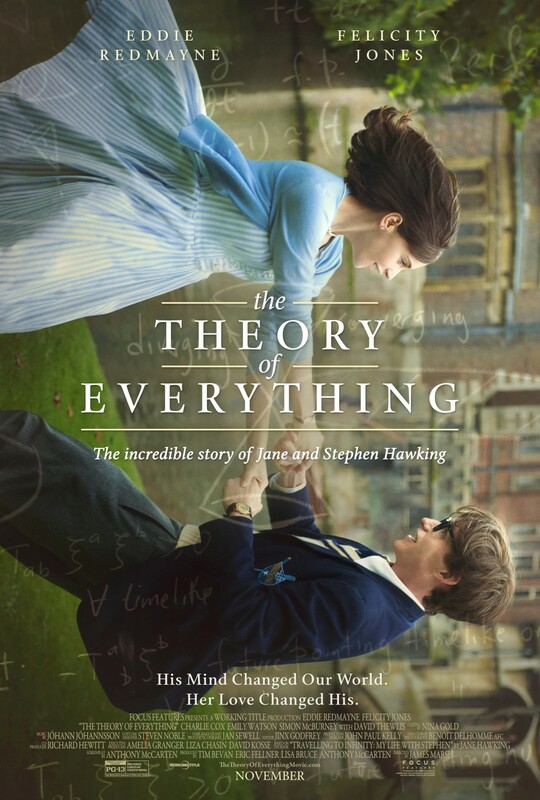 As such, The Theory of Everything becomes a co-biopic, its emphasis as much on the obvious struggles of Stephen as on the less obvious trials of his long time wife Jane (Felicity Jones). It’s because of this, and because the filmmaker only has two hours to capture a life of enormity, that key elements fall by the wayside. Shortly after Stephen is diagnosed with motor neuron disease — a scene shot so intimately by cinematographer Benoît Delhomme that the devastation is doubled — we learn that he only has two years left to live. Though, in a move that indicates the director’s desire to fit more stuff in, the film nonchalantly evades the two year mark. 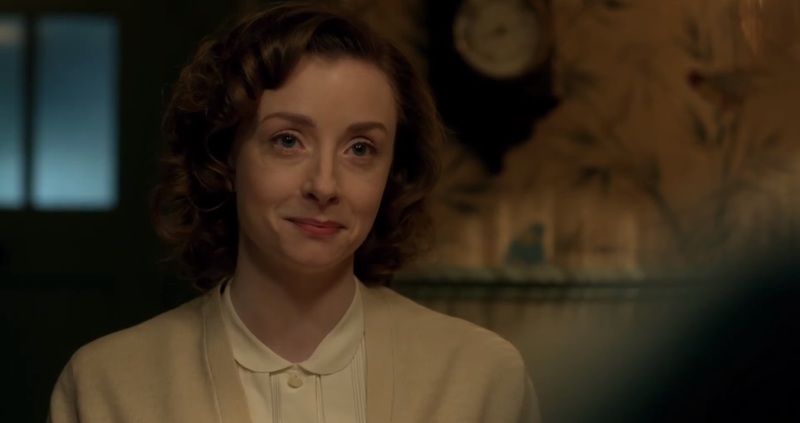 It is an unenviable problem to have, one that leaves Stephen’s relationship with Elaine Mason (Maxine Peake) a little underfed, but the (admittedly necessarily) overstretched journey does afford us more than just an insight into the Hawking family. The early interactions between Stephen and Jane are reminiscent of those shared by Celine and Jesse in Richard Linklater’s Before… trilogy; he is quite awkward and she timid, but before long they are strolling around picturesque locales discussing the source of humankind. Both are defined by entirely separate ideologies too, Jane being a believer God and an arts student, Stephen an advocate for method and science. “I have a slight problem with the celestial dictatorship premise,” he says and from then we’re totally drawn into the pair’s capricious relationship. 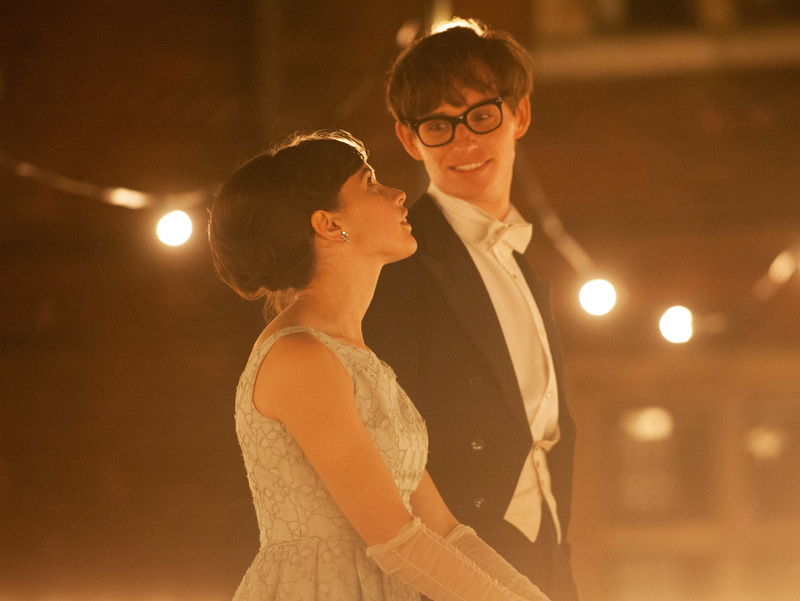 In a manner of speaking, The Theory of Everything draws its pulpy interior from a clash of science and faith. Yet the film never exploits this duel beyond repair and instead uses it as an underlying catalyst for its central love story. Stephen, despite his adoration for the subject, is increasingly pillaged by science, his health deteriorating by the frame. He even defies the presence of a doctor, much to the chagrin of his wife. On the other hand Jane finds herself silently enraptured by the life she might’ve had as she and her husband spend more and more time with Jonathan Jones (Charlie Cox), a choir conductor whom Jane meets at church. The influence of the couple’s branching schools of thought is slight but entirely profound, a notion particularly felt when Stephen momentarily submits his incessant ignorance of God and then begins to backtrack. “Are you actually going to allow me to have this moment?” Jane asks. Much of the praise the film have received thus far has been directed towards the performances of both Eddie Redmayne and Felicity Jones, and for good reason. It’s almost a foregone conclusion that in 2015 these actors will deliver excellence on screen, but the level the pair operate at here is truly magnificent. Redmayne does all the hard graft as Stephen, completely embodying the physicist’s eventual symbolic manifestation. It’s a role without a safety net and Redmayne should be commended for his artistic bravery as well as his tremendous portrayal. 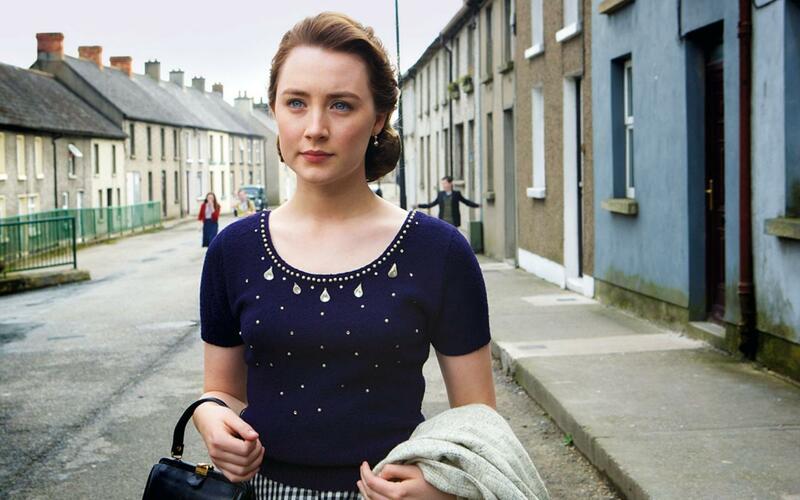 Jones is every bit as good, her subtlety and finesse perfectly complementing the physicality in Redmayne’s enactment. She’s more than simply a supplement though, Jones accentuating the strength of Jane through her pained-yet-defiant facial range. Supporting work from the likes of Charlie Cox and David Thewlis is also strong, though it is Redmayne and Jones who stand out significantly. The Theory of Everything is at its best when Eddie Redmayne and Felicity Jones are united, projecting performances that are totally different but equally effective and affecting. The film is delightfully funny too, and not at all bogged down by disconsolation. And hey, if it’s good enough for Stephen Hawking, it’s good enough for me. As Spider-Man majestically manoeuvres around an invisible pathway above New York City, camera in tow as if magnetised to his every flip, swing and twirl, we hear him articulate one witty quip after another. An air of intertwined energy and humour instantly sweeps across the screen, exponentially infectious; we are watching a superhero flick after all. Fun is the order of the day, only it arrives at a cost and in 2014 a structured sense of direction can too be quite pricey. It should come as no surprise then that, as Spidey encounters one enemy after another, proceedings take a slightly messy turn. Almost two hours and 30 minutes pass fairly quickly, but as time ticks and Spidey’s checklist grows you get the sense that ongoing events would benefit from separation into two shorter films. Buoyed by his latest victory over Dr. Connors, Peter Parker (Andrew Garfield) has become an ever-present on the streets of NYC, fighting off crime with aplomb and tactile guile whilst wearing the red of blue of his arachnid alter-ego. Beneath the surface, Parker has an awful lot on his plate: graduation, a relationship, mysterious parentage and an increasingly widening plethora of bad guys to deal with. Haunted by visions of his girlfriend’s dead father, Parker is at a moral crossroads as to whether he should continue dating Gwen (Emma Stone) and there still exists a shroud of uncertainty surrounding the motives of his father and mother. That’s not even to mention the blue-skinned Electro (Jamie Foxx) running rampant around the city, and he’s not the only one. Phew. It’s almost a given nowadays that the combination of a gargantuan cinema screen and the latest summer blockbuster will yield exhilarating action and visual spectacle. On current evidence said expectation is justified. The Amazing Spider-Man 2 opens vibrantly and brims with commotion thereafter. 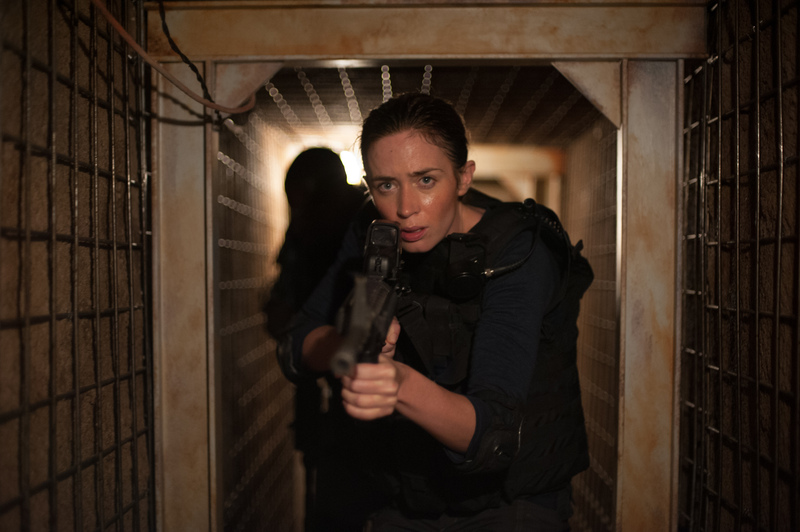 Bolstered by some impressive digital creation and Daniel Mindel’s cinematography, each lively sequence retains an outstanding quality that keeps us engaged regardless of any plot misgivings. Notably, splurges of slow motion webbing are enticing and a transformation sequence towards the conclusion shepherds connotations of the magnificent scene in An American Werewolf in London. One of the saga’s best branches stems from a trunk of genuine chemistry shared between its leading duo, Andrew Garfield and Emma Stone. The pair are a couple in that thing we tend to call ‘real life’ every so often and their inherent connection flourishes on screen, even more so than in the first film. Garfield continues to cement himself as a better Spider-Man than Tobey Maguire, who was hardly a damp squib in the role. The Englishman can hardly contain his wit at times, a trait wholly welcome in the superhero genre. Stone’s Gwen Stacy is ushered further into the limelight here and her performance alongside Garfield merits the busier workload. They jointly visit the entire emotional spectrum, a standout stop being an especially dramatic scene towards the end. It’s apparent that director Marc Webb and his cohorts are invested in these two characters and this is a positive sheen that rubs off on us viewers. Beyond Stone and her beau, performances are generally excellent. Dane DeHaan is particularly impressive as Parker’s best friend and Oscorp inheritor Harry Osborn, his facial expressions often insinuating mischief. He resembles a young Leonardo DiCaprio here more than ever — the voice, the hair, the mannerisms — and certainly has the talent to attain DiCaprio’s enviable portfolio. Jamie Foxx stars as the primary villain Electro, though is unrecognisable post-mutation. The character’s mindset drastically alters from one of blunder to one of forcefulness and Foxx handles the switch solidly despite the villain’s lack of conviction. Another unrecognisable face lost amongst the unnecessarily long list of antagonists is Paul Giamatti, who hams it up to the Nth degree as Aleksei Sytsevich. Giamatti’s comedic purveyance is hit-and-miss, but by and large splashings of humour strike the correct spots. Comedy has become an essential element in the superhero formula, and getting it right undoubtedly provides a sturdy springboard for any subsequent action. Quality over quantity is key; brisk spells of funny are on the menu here and these bursts resultantly set the desired tone, ensuring wisecracking comedy doesn’t overpower the drama but simultaneously exists as more than simply a relief mechanism. Whether he’s arguing against the “laundry sheriff” or awkwardly atoning for making Gwen late (“I’m sorry to bother you my fair lady”) Andrew Garfield is often the source of amusement. Heck, he even generates a laugh out of the ill Spider-Man gag. 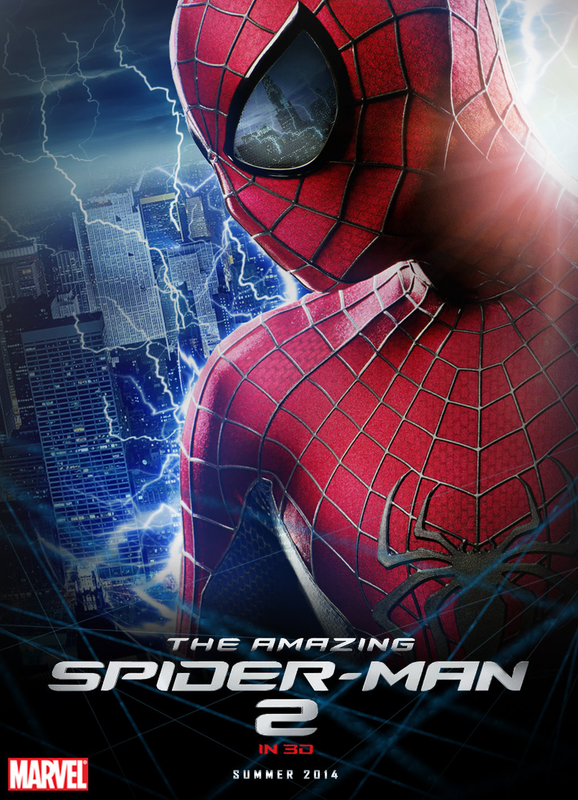 This is a far more entertaining watch than The Amazing Spider-Man, but it does adhere to the modern Marvel formula. 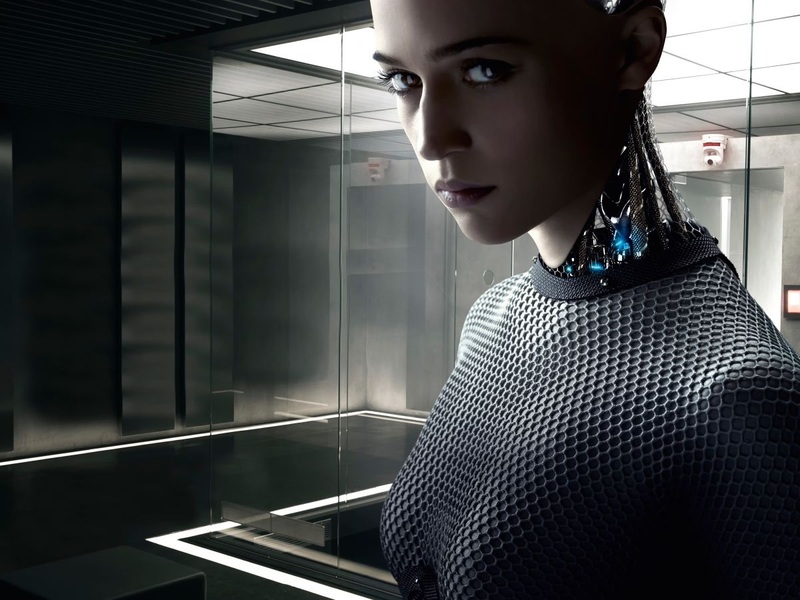 The studio has been churning out at least two films annually over the past few years with more projects pencilled in until 2028, perhaps an indication that we are getting too much, too soon, too often. As time develops and these films come and go, it is become increasingly difficult to reinvent the superhero wheel and there are faint smatterings of this problem to be found in The Amazing Spider-Man 2. The film is on a similar level to Thor: The Dark World in terms of pure enjoyment, but unlike the Norse tale (which channels simplicity for the most part) Spidey part two gorges excessively. This overabundance is a problem. Far too many things are going on. By the end of the film, there are at least five villains (admittedly, of varying importance) and a few characters so far out on the periphery of proceedings that their presence is called into question. Felicity Jones is criminally underused as Harry’s assistant Felicia and one can only hope that she has a greater role in part three. A random doctor plucked straight from 1960s Soviet Russia shows up at one point and his exaggerated demeanour is one step too far. A hefty percentage of the dialogue also gets caught up in discussions over physics. Modern day blockbusters should carry an intelligent weight, absolutely, but that notion doesn’t extend to rehashing school science lessons. Reciting implausibilities within the context of a superhero film may not be the wisest of moves, but there is a difference between principal abnormality — that is, our main heroes displaying unimaginable powers — and plain absurdity. An early fight scene that takes place on an aircraft embodies preposterousness, as both a human being and his laptop withstand a free-falling, ripped apart plane. How on earth does the device manage to retain an internet connection? Though The Amazing Spider-Man 2 becomes entangled in a complicated web of narrative strands, a healthy dose of thrilling action and toxic humour funds endless amounts of enjoyment. 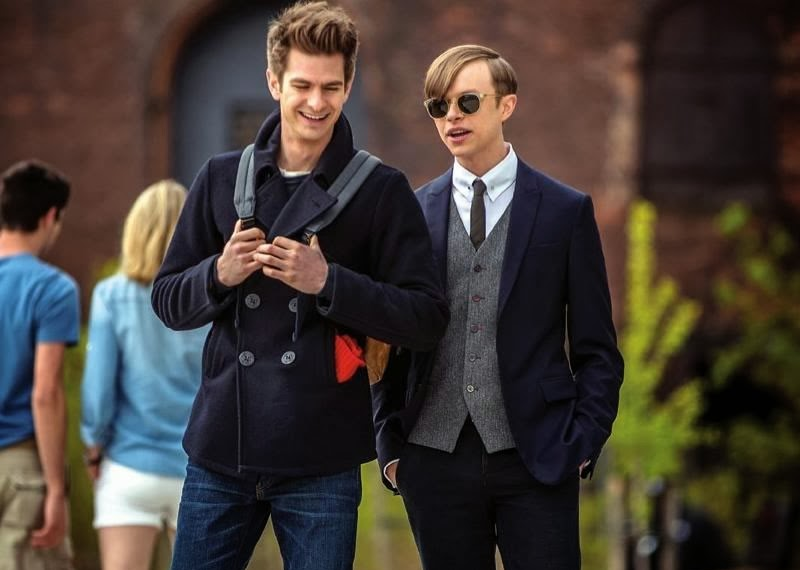 Andrew Garfield and Emma Stone seal their place among the best couples going in the genre, and as the latter’s Gwen Stacy recites her valedictorian speech (“Make your [life] count for something”) we are appreciatively reminded of those familiar superhero themes: empowerment, belief, and laundry jokes.